i.WATER: They always have at least 2 litres of water. They keep sipping water and replenishing their body reserves which are usually lost through perspiration and transpiration. This also keeps them happy and energetic. ii.SHOES: They check their shoes before the event for strength, grip and comfort. Old unused shoes usually don't last for more than 30 minutes in the outdoors. Similarly, brand new shoes almost always result in shoe bites. Closed shoes protect their feet from pricks and bites. This helps them focus on having a good time rather than just facing the elements. They also carry slippers/flip-flops/sandals to be worn during rest time, water activities and travel. iii.CLOTHES: They wear comfortable clothes which allow them to stretch, climb and jump. Clothing is most effective when it covers your arms and legs from the sun, cold, pricks and bites. They usually carry extra clothes and a towel depending on the number of days the event is. We have observed that extra plastic bags are of great help when it comes to storing wet clothes. iv.FOOD: They get lots of Chocolates, Chikki, Dry Fruits, biscuits, farsan. These items keeps them charged and energetic during the day. v.SUN PROTECTION: They carry hats/caps, sunglasses and sunscreen and use them. In places like Ladakh the sunglasses come in very handy. They suggest that the sunglasses have UV ray protection. This also reflects well in the numerous photographs that get clicked. vi.JACKETS / WINDCHEATERS: They prefer enjoying the outdoors warm and dry. They also tell us that in cold places it is more convenient to dress in layers as it is easier to add or take off a layer to adjust with the temperatures. 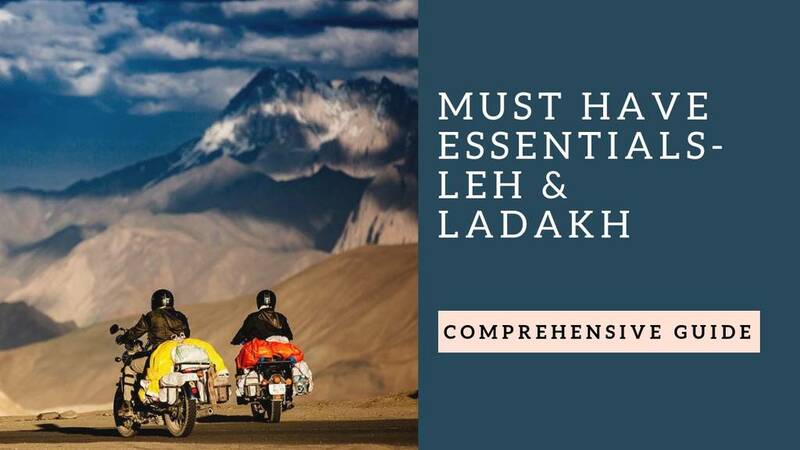 In places like Ladakh they advise us to carry a pair of thermal innerwear as well as woolen socks. vii.TOILETRIES & MEDICINES: They say soap, toothpaste and toothbrush help keep a good hygiene. In addition they carry medicines that they commonly use to counter Asthma, allergies and other health issues that they may have. viii.TORCHES: They said that electricity is a luxury in most places out of Mumbai. Torches often come in handy during power cuts or blackouts. They a recommended that we carry extra batteries and a spare bulb just in case we require one. ix.ELECTRONICS: They carry cameras, torches, extra bulbs and batteries. They also make sure to have waterproof coverings to protect their belongings from moisture. x.BACKPACK: They usually carry all their stuff on their backs keeping their hands free for things other than holding a bag. xi.TRASH BAG: They believe in keeping places clean and so they carry trash bags to carry all the wrappers, chewing gums, chips packets, etc and dispose it off in the local Garbage Bin. xii.MOSQUITO REPELLENT: They just smiled when we asked them why. They did sleep very peacefully at night. xiii.HUMOUR: Their sense of humour made it difficult for anything to dampen their spirits.